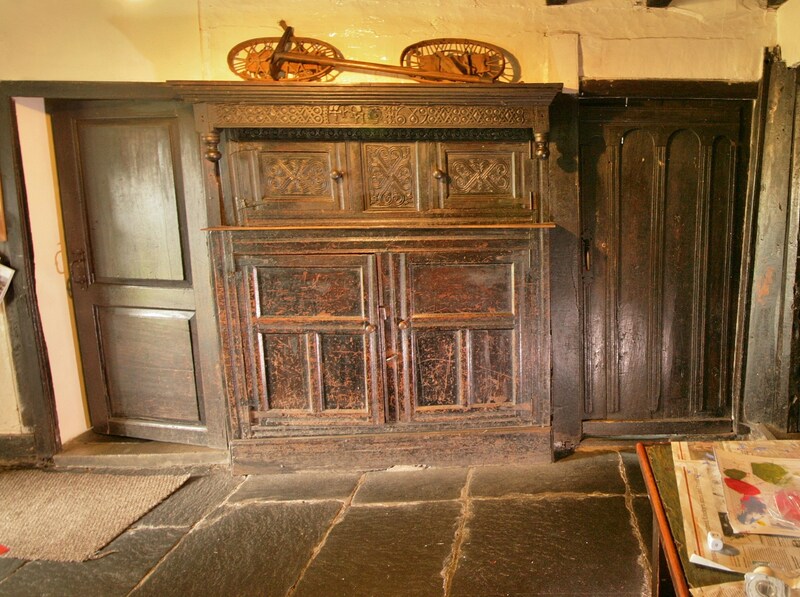 Built-in press cupboard dated 1689, Rawhead, Great Langdale. The buttery is to the left and parlour to the right. Joined press cupboards are found in most regions of England and Wales. They generally range in date from the late 16th to the late 18th centuries, with later examples in some areas. The Lake District is unique, however, in having press cupboards routinely built in to the interior structure of the house. Typically they formed part of the dividing wall between the principal living space and the two smaller ground floor rooms, the buttery and the parlour. Because they were built-in a good number have survived, although many more have been lost as houses were modernised, enlarged or demolished. 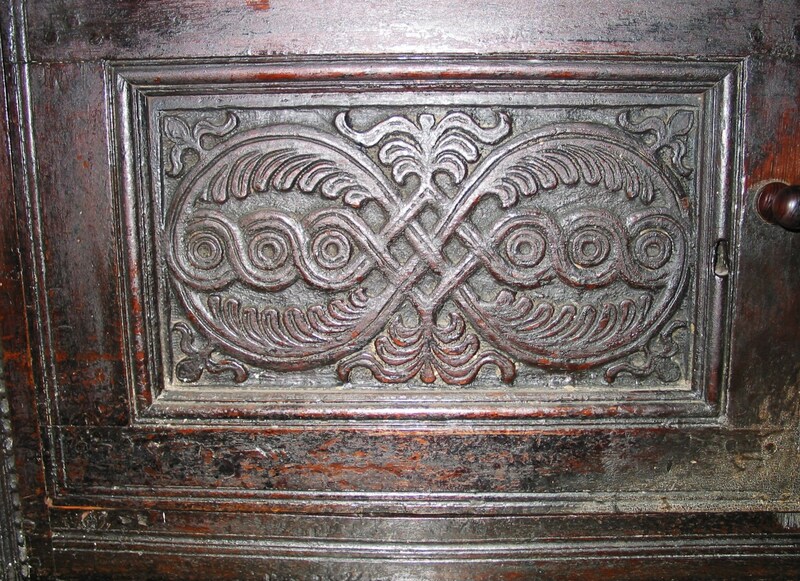 Another distinctive feature of Lake District press cupboards is the style of carving, which combines universal motifs, such as the lunette (half-circle), the guilloche (interlaced circles) and the S scroll, with unique Lake District designs which may derive from medieval carving, or from even earlier Norse and Celtic decoration. 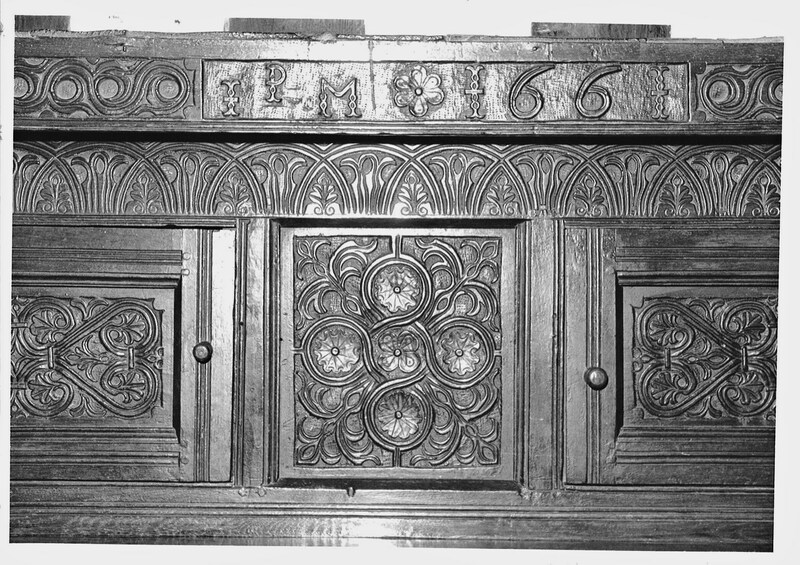 Many cupboards are dated, and the recorded dates range from 1628 to 1735. In addition, many bear the initials of their original owners, arranged in a triangular group similar to that found on buildings and other furniture all over north-western England. 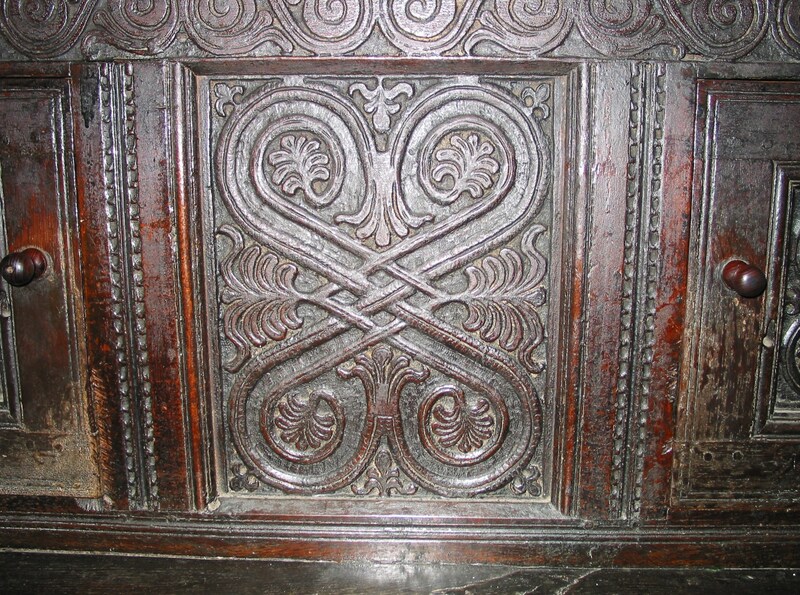 Detail of press cupboard, dated 1661. Made for John and Mary Philipson of Causeway House Farm, Applethwaite.